(Social Media) Try pulling out your phone in a Corner Bakery today and you’ll get aggressive employees yelling at you to stop. Is this rule good or bad for a brand? While most companies beg their patrons to snap shots of their products, staff, or services, the restaurant chain Corner Bakery feels the opposite, in fact, their staff will yell at you from across the building, chastising you for taking any photographs. “It’s the rules!” the employee insisted. Rosales, along with his wife and daughter (who is recovering from surgery and using a scooter for mobility) were on their way out and chose to leave without confrontation, but the employee was still angrily yelling upon their exit. This particular location is not in a boring strip mall, rather in Fort Worth’s beautiful historic district where Rosales was on vacation with his family and had just finished a meal while discussing the historical buildings in the area. While businesses have the right to restrict photography on their private property, it is legal to take images of the exterior of any commercial building, and for brands that restrict photography, it is standard to have those policies clearly stated in the building, particularly before entry – for example, entering a tech company office like Google, you sign a form at the door that as a visitor, you will not take or share any photos. Other experts had more harsh criticism, but there is a consensus against this policy – we could not find one expert that agreed with Corner Bakery’s position on the matter. 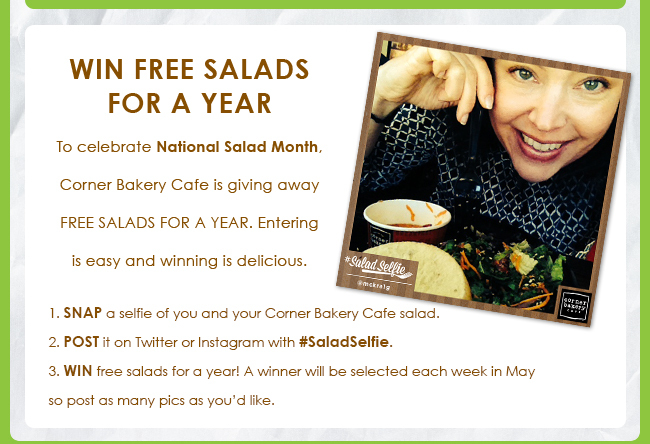 At last search, there are thousands of user-generated photos online that have been taken inside of this Corner Bakery and posted online, and Rosales had seen photos on Yelp before entering, saw no notice that photography was not allowed, and opined that this policy is unfortunate and misguided. There is no mention on the company site that photography is forbidden, and we have reached out to Corner Bakery for comment on this policy. All images in this story were taken by Rosales and do not appear elsewhere online. What an unfortunate circumstance! As a real estate professional I often take clients to one of our several neighborhood locations after a day of showing houses for a fantastic cup of coffee and slice of their to-die-for crumb cake. Quite often we will take a photo to add to our tour of homes and neighborhoods. While we have not experienced the same treatment it would be highly embarrasing and I am not sure we would handle it with the same grace you showed. I too have reached out to their corporate offices to get a clarification of their policy. Hopefully yours was an isolated incident and not a misguided policy. Until I get a satisfactory answer, I guess I am going to miss that crumb cake! I can relate! This happened to me at 7 Fish restaurant in Key West. I’m a real estate broker in Key West and I love to share all of the wonderful places to eat and things to see and do on social media so that our island guests can plan a really fun vacation. I was excited for an evening out with my husband. We both work a great deal and we both volunteer every day after work for 3 hours so we can never eat out during the week. We also volunteer for 4 hours on Saturdays. We live outside of the city so dinner in the city is a rare and special occasion. 7 Fish was so rude to us it ruin our experience, our evening and our dinner. 7 Fish also yelled at me about taking a picture. It was terrible. From that point on even the food wasn’t good. My good time was squashed. It seemed like the service took for ever and the food was mediocre, at best. When you’re posting pictures and interacting with your friends and their liking your pictures it adds an element of fun. Especially for us because we have zero personal life after work and volunteer activities. This is so timely Marti as I have had quite the opposite experience? I use the #CornerBakery as a Meeting place with Clients and even have #CornerMeetUps around the country when I travel. I too am a Fan of Social Media and so naturally, Post • Document • Tweet my Experiences. Each time I am in a Corner Bakery I am those who are with me are engaging on Social Media with plenty of pics flowing. Managers even take pictures with us. Corner Bakery shares my Tweets and my Pics and are highly Engaged ON LINE. Would be most interesting to get the “Official Reaction” from Home Office. Until then I will continue to “Share the Experiences”. I think this is a store by store policy. All of the California stores allow (and encourage) photos in our stores. It’s good for business for word, pictures, comments, reviews, etc. to be spread via social media, and we are more than happy to snap pictures of guests. The only thing we DON’T allow (at least in the Westlake Village location) is taking pictures with celebrities, as it disturbs our business in general and the celebrities as people and customers.